The start of a New Year is a time when many people focus on goals they want to accomplish to achieve a healthier self. For some that means eating healthier, exercising, improving their financial status or decreasing their stress. However, after setting goals, many people fail to make change. Following are a few tips to help you achieve success and have a happy, healthy new year. Focus on small changes that will be sustainable instead of making dramatic change. For example, instead of a dietary overhaul, choose to monitor your water intake on a daily basis or add one serving of fruits or vegetables weekly until you reach the daily recommendation of about 5 servings per day. Exercise regularly, but have fun while you’re doing it. Go for a walk with a friend or a pet, or take your kids to the park. Doing something you enjoy for exercise will help pass the time, and will make incorporating exercise into your daily activities seem seamless. Make time for you to clear your mind and get enough sleep. Sleep is important for your overall health. Getting enough sleep can actually decrease your risk of specific diseases, and gives your body time to heal and boost immunity. Whether it be before you go to sleep or when you wake, take 5 to 10 minutes to relax. This should be allocated time not on a computer, phone, or electronic device. Use this time to enjoy your morning coffee or focus on what tasks you like to accomplish that day. Again, make sure to set a resolution(s) or goal(s) that are realistic and attainable. Any step is a step in the right direction no matter how big or small. Try to accomplish one thing daily to take action towards your resolution. Seek help if you need it. Do not be afraid to ask for help if you are struggling. The Creating Healthy Communities Program focuses on Healthy Eating and Active Living as a means to prevent chronic diseases. If you are interested in volunteering in the New Year, contact me at the Meigs County Health Department (740) 992-6626 or laura.cleland@meigs-health.com. 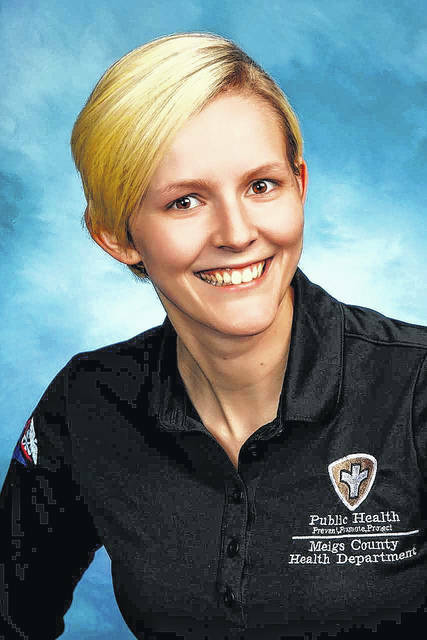 Laura Cleland is a health educator for the Meigs County Health Department.